CSA is a movement that allows residents of urban areas access to high quality, fresh, organic produce grown locally by farmers in the region. When you become a member of a CSA, you participate in this movement, and bring together local farmers and city dwellers in a mutually beneficial relationship. 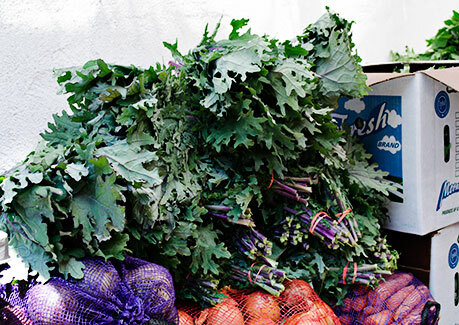 CSA farmers are guaranteed income for the season and CSA members have direct access to fresh, local, organic produce. In this way, the CSA supports our mission of health and nutrition by promoting healthy eating, while supporting our local farm economy. The CSA provides local produce to our youth programs and neighborhood schools for use in nutrition and food preparation workshops. Our after school program currently holds regular collaborations with the Earth School and Green Apple Kids, where students learn about healthy food choices and nutritious eating; both the CSA and our youth programs are working with kids and parents to address issues of obesity and diabetes, the results of unbalanced diets. The CSA organizes regular farm visits for our members and students in our youth programs to further connect farm to city. In our community, we operate a composting project at El Jardin del Paradiso Community Garden (East 4th and 5th Streets, between Avenues C and D). Here, members and students learn how to compost their food scraps and the cycle of how composting is used in agriculture. The CSA also holds regular film showings on issues of food, health, agriculture and nutrition, which are all open to the public. In new developments, we are currently working on a senior meals program to deliver meals prepared in our own Organic Soul Cafe to the homebound, frail and disabled, as well as provide free or low cost meals for seniors who are mobile, within our cafe. We are currently looking for volunteers to assist with this exciting project! The CSA is also open to low income families receiving SNAP benefits, who receive healthy, organic food at way below market prices. Late registration is accepted, cost will be pro-rated on date of joining. The Sixth Street CSA has been in existence since 1996, and our members consistently have access to some of the freshest and best quality produce available. From June to November, our partner farms, Hepworth Farms in Ulster County, New York, and Catalpa Ridge Farm in Sussex County, New Jersey, provide over 200 varieties of fruits, vegetables, and herbs. 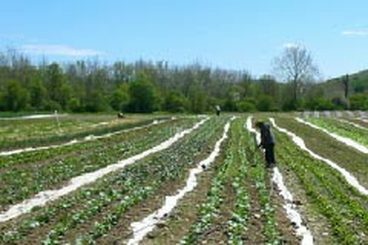 Due to popular demand, in 2002, Sixth Street CSA began offering winter and spring shares in addition to the traditional summer share, from Winter Sun Farms and other distributors. In addition to produce, Sixth Street CSA also offers several varieties of wild Alaskan fish including coho, sockeye, king salmon, halibut, cod and rockfish. We are the only source of Stonehouse olive oils and vinegars in New York City. We also have pasture raised eggs from our partners in Pennsylvania. At Sixth Street, we believe that all neighborhood residents should have access to fresh, organic, local produce, regardless of their level of income. Our CSA operates on a sliding scale model, and member fees are determined based on the income level of your household. This sliding scale model is made possible in part thanks to a generous grant from Wholesome Wave. CSA pick-ups are every Tuesday from 5pm-9pm at Sixth Street Community Center, located at 638 E Sixth Street. Feel free to contact us, or just stop by if you have any questions, or want to learn more about the benefits of CSA membership. Our CSA Coordinator Michael Kowalski will be happy to help you! 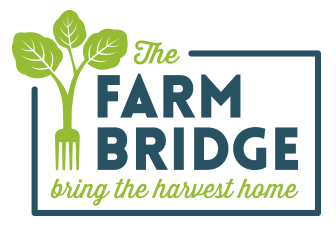 ​To support local farms by building a profitable local food company that will provide the stability, infrastructure and expertise to create a vibrant local food economy.